February 6-10, 2012. Nogales, Mexico. 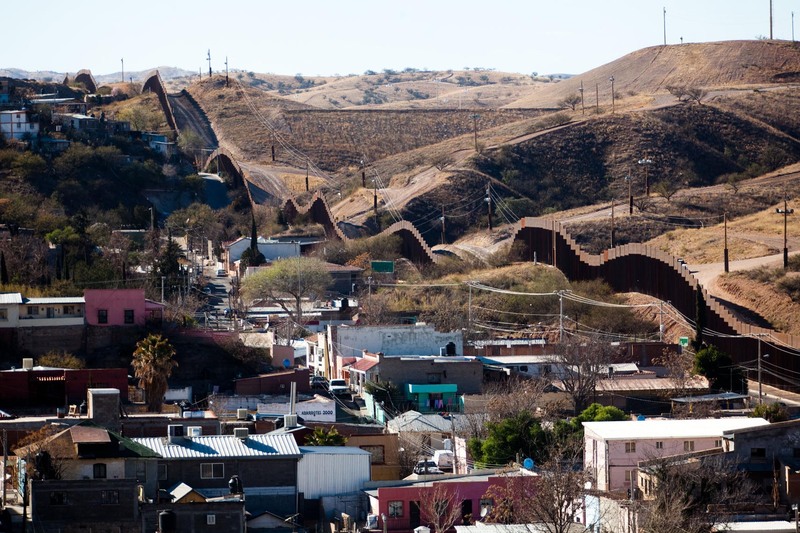 A border town between Arizona, US and Sonora, Mexico. Completed in the summer of 2011, the few 3 mile fence is about 25 feet high, much more secure than the one it replaced, and is perforated to enhance the border patrol's ability to see impending mexican attempts to cross or attack. The fence has no security zone running along it allowing for US and Mexican neighborhoods to abut each other. Piotr Redlinski for The New York Times.